Release of crucial inflation data and a decision on the US rate hike are expected to trigger high volatility and subdue investor sentiments in both the equity and currency markets during the upcoming week. However, investors might get a chance to enjoy the calm before the stormy session. As better-than-expected industrial output data released on September 11 restored confidence to chase prices on Monday. "We expect markets to open in the green on Monday led by the strong macro economic data; IIP data released on Friday was well ahead of expectations at 4.2 percent as against a forecast of 3.6 percent," Vaibhav Agrawal, vice president, research, Angel Broking, told IANS. The key domestic trigger for next week will be the inflation data points of the wholesale price index (WPI) and the consumer price index (CPI) which will be released on Monday. "Inflation figures due for release on Monday will be the last significant pointers towards Reserve Bank of India's (RBI) rate decision," Anand James, co-head, technical research desk with Geojit BNP Paribas Financial Services, told IANS. Estimates have placed both WPI, as well as CPI to record better figures, improving rate cut hopes during RBI's monetary policy review slated for September 29. Notwithstanding the IIP figures, the calm is expected to wear-off as the US Fed's September 16-17 meeting of the Federal Open Market Committee (FOMC) approaches. This makes September 17 perhaps the most awaited day of the entire year as the US Fed will decide during the FOMC meeting whether or not to raise interest rates. "Volatility will persist until the FOMC decisions becomes clearer. More important is the language that the Fed is going to use. A dovish one will support a long sustaining recovery," Anindya Banerjee, associate vice president for currency derivatives with Kotak Securities, told IANS. "However, a hawkish outlook will heighten the chances of a rate hike in December." High interest rates in the US are expected to lead away the foreign portfolio investors (FPIs) from emerging markets like India. It is also expected to dent business margins as access to capital from the US will become expensive. It is estimated that the foreign funds and investors have sold around $3 billion since August. Interestingly the Indian markets will be closed on September 17 on account of Ganesh Chaturthi. The day will also mark the 65th birthday of Prime Minister Narendra Modi. "With September 17th being an exchange holiday, and the FOMC decision also scheduled on the same day, the week is bracing for intense volatility, especially on the first few days," James cited. The silverlining on the cloudy horizon is the hope that the US Fed will maintain interest rates accompanied with a fairly dovish outlook. This, said market observers will spur the recovery in both equity and currency markets. "The recovery, if it happens will be really strong. Rupee can recover to 64-levels. Equities too will see a sustained recovery," Banerjee elaborated. Furthermore, the rupee has been stabalising ever since it hit a fresh 2-year low of 66.86 against the greenback in the intra-day trade on September 7. The rupee ended the week at 66.54 on Friday. "Interest of FPIs, rupee movement and crude oil prices globally will dictate the trend on the bourses," Gaurav Jain, director with Hem Securities told IANS. 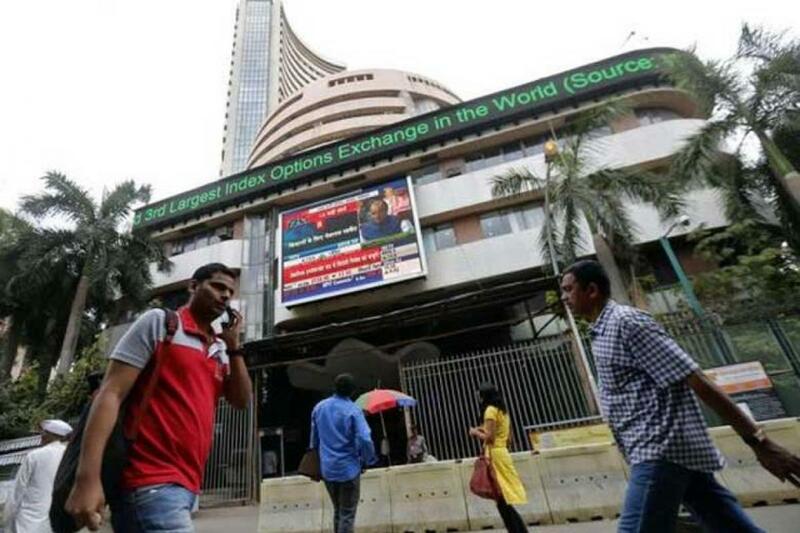 The barometer 30-scrip sensitive index (Sensex) of the S&P Bombay Stock Exchange (BSE) had gained by 408.31 points or 1.62 percent in the weekly trade ended September 11. The wider 50-scrip Nifty of the National Stock Exchange (NSE) rose by 134.25 points or 1.72 percent at 7,789.30 points.